It’s a new year and new bang as LG Electronics (LG) took the stage at CES 2017 to unveil its newest top-of-the-line LG SIGNATURE OLED TV W as the pinnacle of its new lineup of flat-panel TVs at CES 2017. 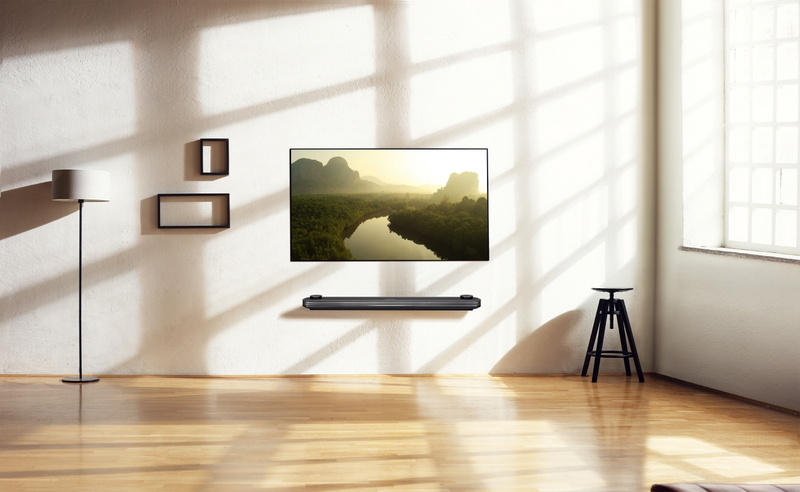 Featuring Dolby Vision and Dolby Atmos sound, the new lineup includes a total of (10) ten different models, highlighted by the 2017 CES Best of Innovation Award winner, the 77-inch LG SIGNATURE OLED TV W exemplified by its Picture-on-Wall design. 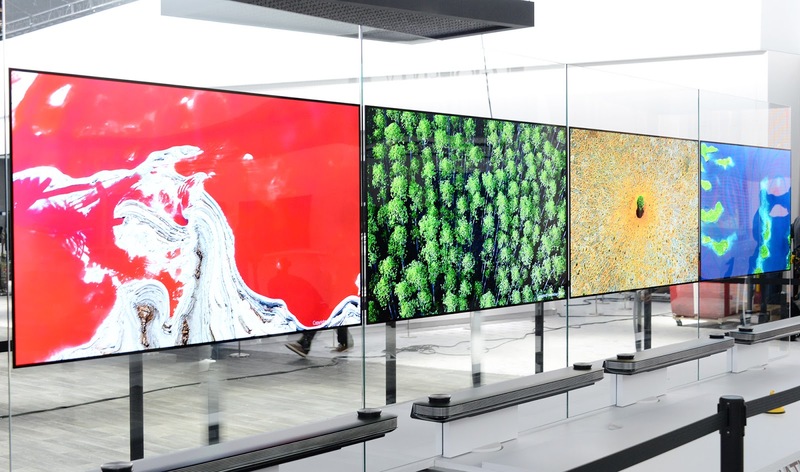 The LG 2017 OLED TV lineup, consisting of models 77/65W7, 77/65G7, 65/55E7, 65/55C7 and 65/55B7, will continue to live up to its unrivaled ability to reproduce the most lifelike images of any TV product with perfect blacks, infinite contrast and an expanded color gamut. 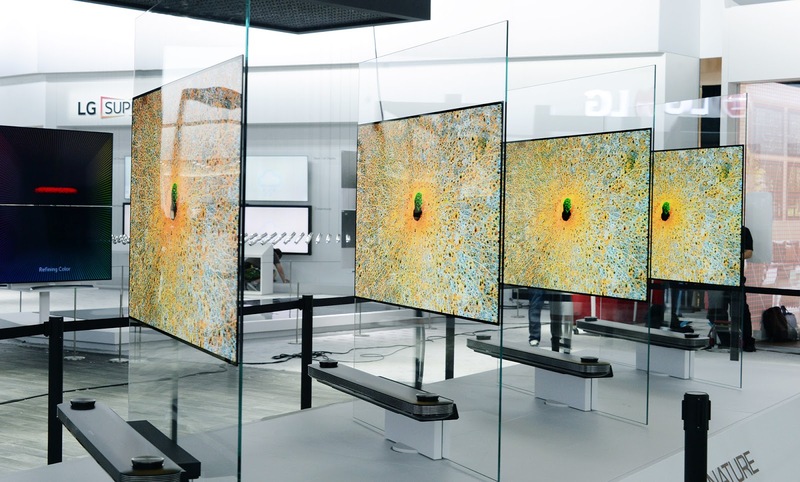 The company’s latest OLED TVs are built on this foundation of excellence and come with a number of new cutting-edge features designed to transform the TV into a comprehensive entertainment hub. 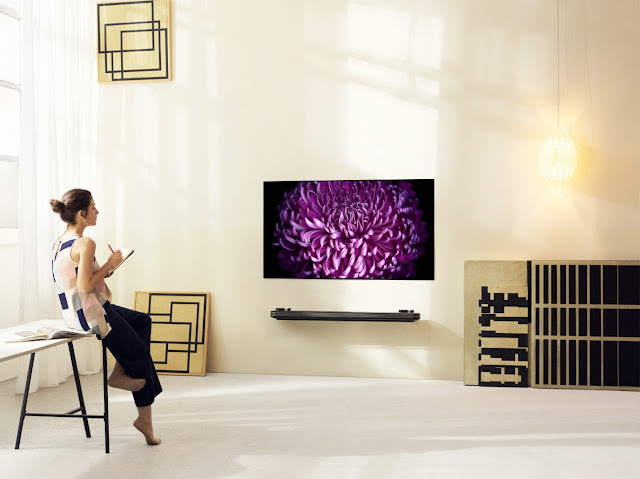 LG’s 2017 OLED TVs feature the amazing blade-slim design of the B7 and C7 series, Picture-on-Glass design of the E7 and G7 series and the unique Picture-on-Wall design of the newest W7 series. The innovative design of the W7 series follows LG’s “less is more” philosophy, stripping away everything to emphasize the beauty of the screen alone. The W7’s sleek razor-thin profile makes the TV appear to be levitating in mid-air, adding to the sense of immersion. The OLED panel, measuring only 2.57mm thin in the 65-inch model, can be mounted directly on the wall with only magnetic brackets, eliminating any gap between the TV and the wall. The sense of immersion is completed by up-firing speakers and unrivaled Dolby Atmos sound. This design of the W7 series invites the illusion of gazing out a window, not of watching TV. The W7 OLED TV series builds on LG OLED’s revolutionary pixel dimming control technology, which renders perfect black without any light leakage to offer a limitless contrast ratio, with one billion possible colors. What’s more, all LG’s 2017 OLED TVs use ULTRA Luminance technology to deliver greater brightness where needed.